3D InkTM is a custom formulation based on Poly-Lactic Acid (PLA), a bio-degradable, plant-based derived plastic. This unique blend reduces moisture absorption, eliminating the need to dry it before use. 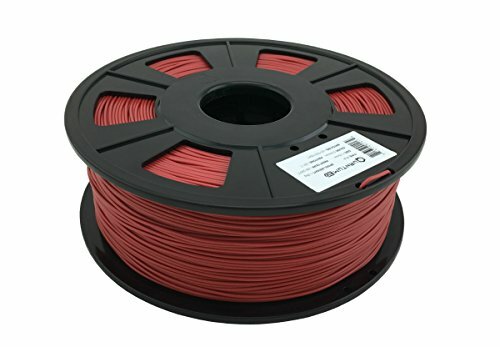 This results in higher-quality prints and better support removal. It also allows for easier printing of small and intricate models and doesn’t warp easily. 3D InkTM is the best choice for printing indoors and for everyday models. 3D InkTM is available in a wide selection of colors including transparent and opaque varieties. This is a translucent type which can be printed matte or high-gloss depending on temperature. Gross Weight: Approximately 0.55 lb. Net Weight: Approximately 0.5 lb. Filament Length: 250 ft.